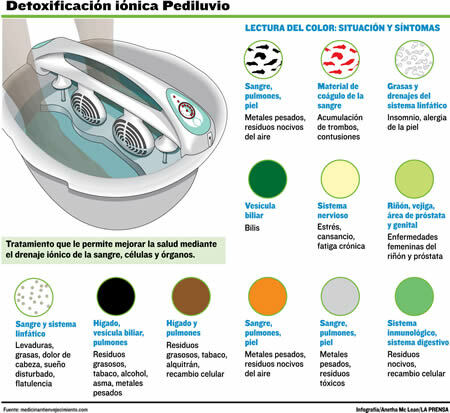 ionic detox foot bath hoax? 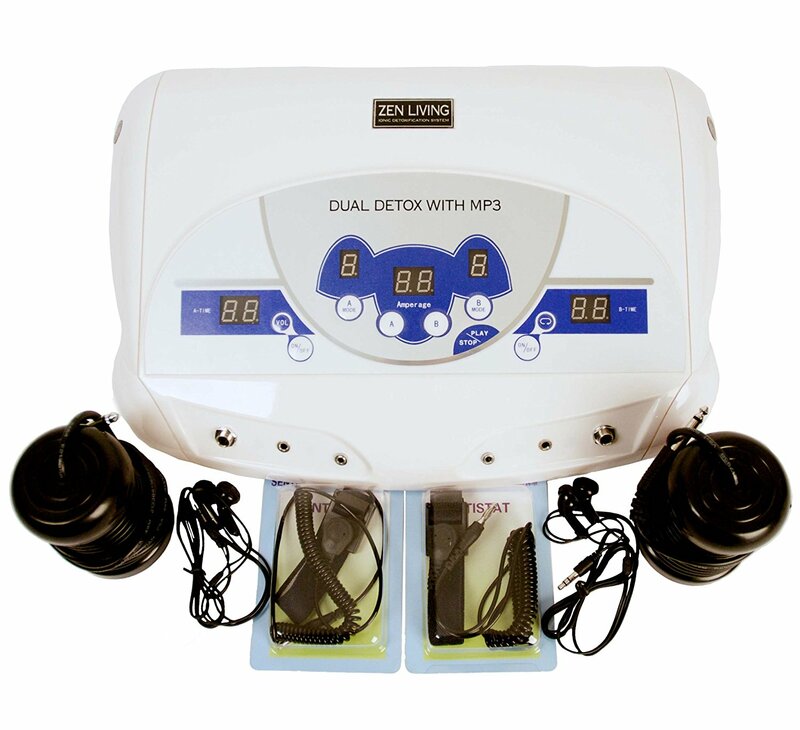 Your feet are placed into a tub of warm water with a brass and stainless steel electrodes connected to an energizing cartridge, which creates a positive or negative charge changing the water molecules by breaking them down into ions. Using osmosis the anions travel into the body where they will work with and even reinforce cells that might have been damaged by toxins. These anions set in motion enzymes needed for us to be healthy, and help our metabolism work well. 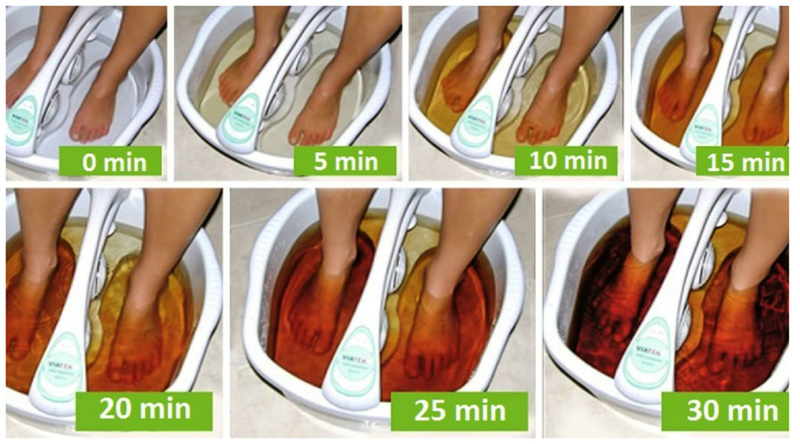 Then the toxins in the body are drawn down towards the feet and are released into the saline water in the foot tub. 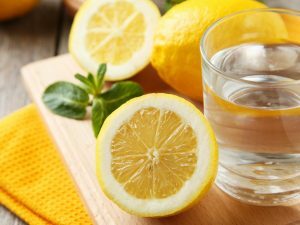 This happens again by the process of osmosis, where the skin acts as a membrane through which anions and toxins can pass. 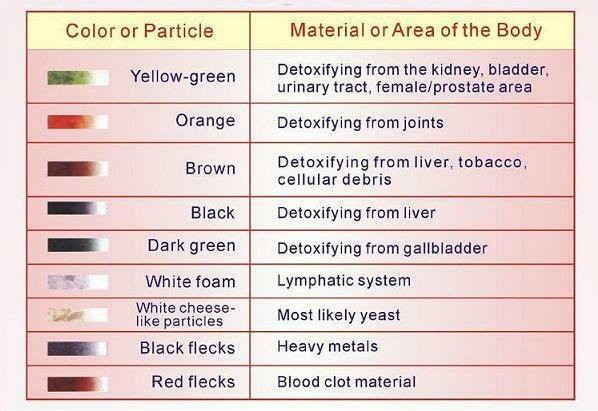 The water takes on a visible color as the toxins are extracted from different parts of the body. 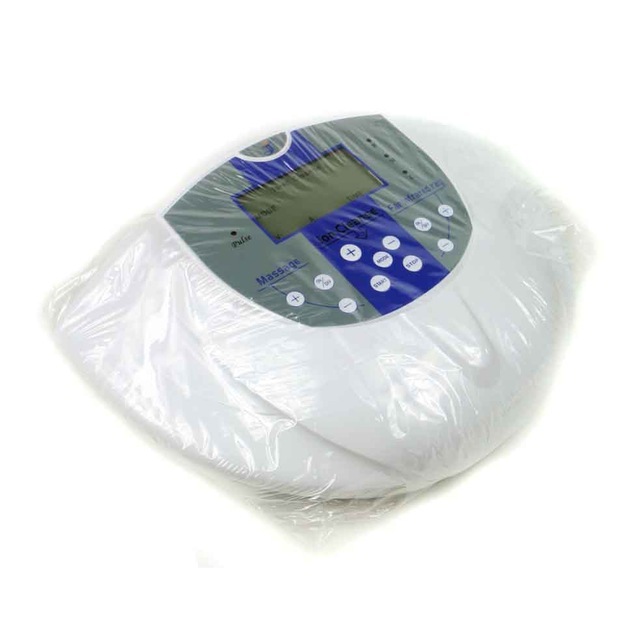 Susan placed the tub of warm to hot water under my feet and then placed the “Array” which is the electrode device between my feet in the tub. My feet were to be soaking for thirty minutes. Immediately I witnessed small bubbles coming from the Array as my feet sat still. 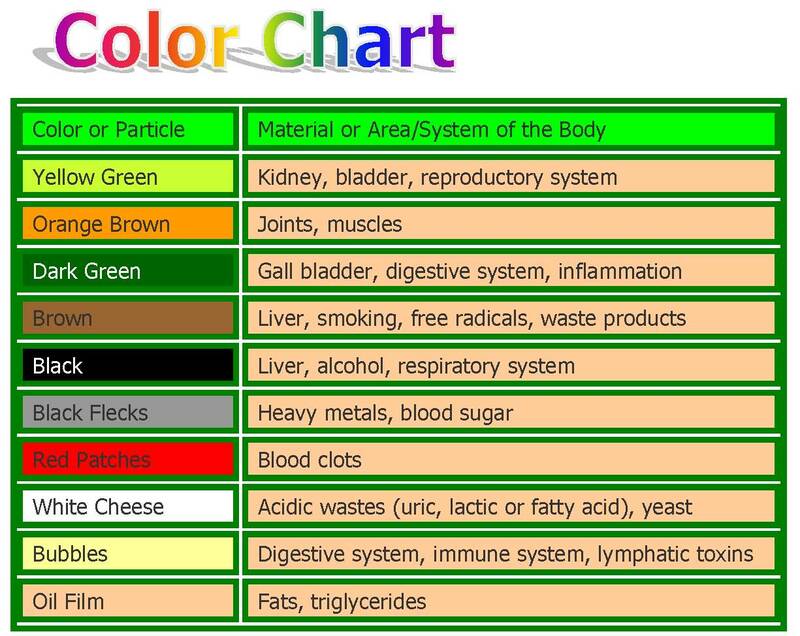 I had a chart in front of me showing what colors were connected with which part of the body. I began to see a light yellow color form on the surface of the water. I checked the chart and didn’t recognize that color. In about half a minute it had turned a dark yellow, which was bladder toxins. Then I started to see slimy goo coagulate on the surface. According to the chart that was bad cholesterol, fat and triglycerides. Pretty soon my tub looked like dishwater after spaghetti night. It was amber colored with tiny specks of black on the surface. Suddenly, out of nowhere, I began to feel a strange squeezing feeling, like a cramp in my right side under my rib cage. It wasn’t a very bad pain but Susan looked perplexed. I looked at my water and the color now coincided with the liver. She said she had never seen anyone ever feel the toxins leaving per organ so I tossed it up as just a cramp. The bubbles were black on the left side of the tub and in the right they were orange. She asked me if I had more problems with the left side of my body and I said that I did. In fact, my last chiropractor weighed me with two scales, one for each foot, and he found out that I have been putting 30 pounds more weight on my left side then my right. Susan said that the joints might be releasing more toxins on my left side than my right side. I looked at her impressed. There were other colors on the sheet that I never experienced such as “tiny snake like creatures” or “rancid odor”. I asked her about those as well. 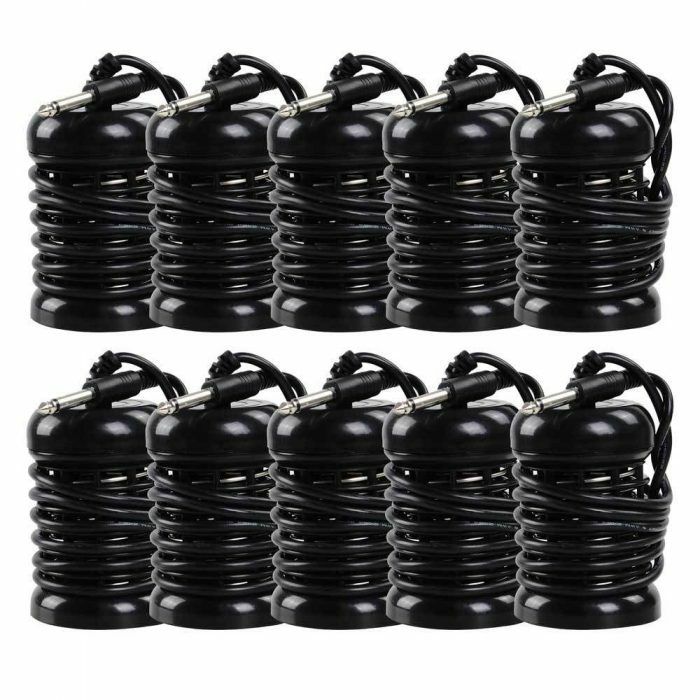 She said that many people who walk around barefoot might contract pinworms or parasites. She related to me a story of a man that had a tub full of them. I cringed at the thought. The bad smells are usually attributed to either cell death, or a back up in the colon. Suddenly the lower left side of my back started hurting. I looked at my tub and saw that it had turned reddish green. 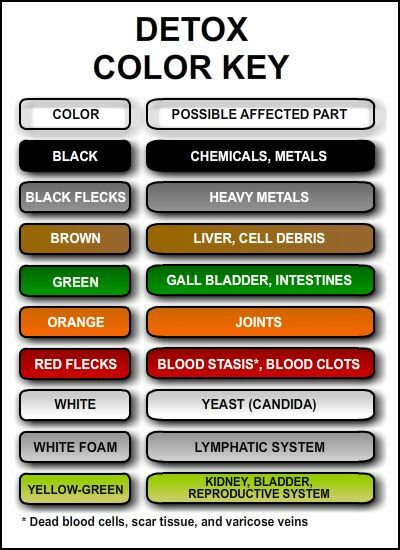 Those colors were connected to the kidney on the sheet. I shook my head wondering if I was just imagining all of this. Pretty soon the process was done. 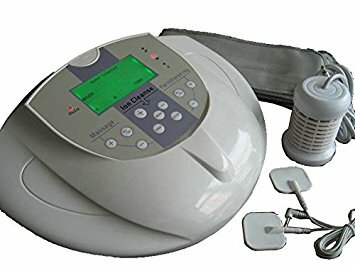 Dr. Stephen Barrett, co-founder of the National Council Against Health Fraud, describes ionic cleansing devices as medically useless, and reminds potential consumers that actual detoxification occurs in the liver, which modifies foreign substances so they can be processed by the kidneys. 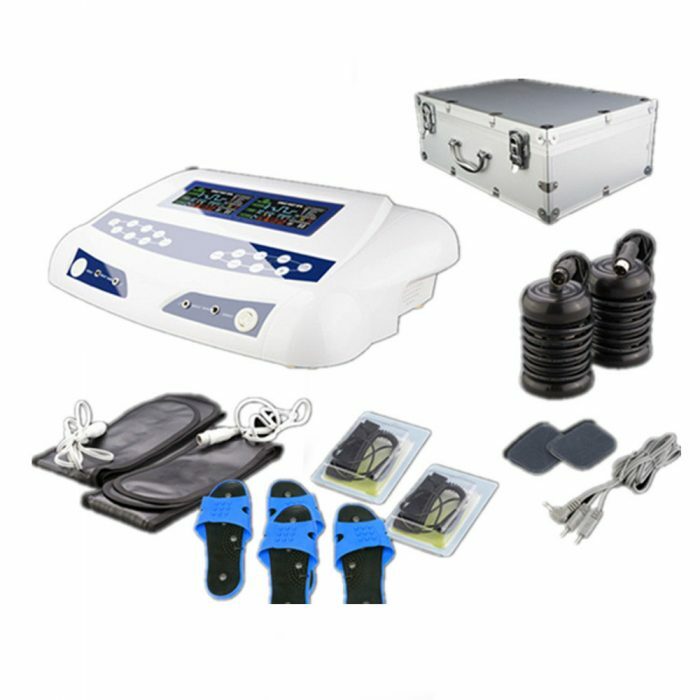 However, the concept of removing toxins through the feet may have one benefit. A similar expose of detox foot pads — adhesive devices that purported to remove toxins through the feet — by ABC’s “20/20” in April 2008 indicates that some people may feel better after treatments simply because they expected they would.